Fincantieri says it has signed an agreement with Carnival Corp. to build the new cruise ship for its Princess Cruises brand at a cost of about 600 million euros. 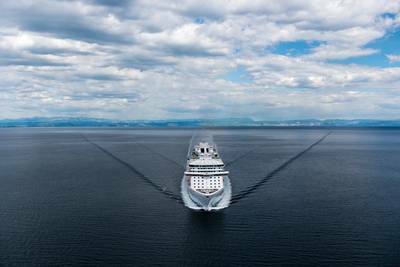 The 143,000-ton ship, which will enter service in 2017, will carry 3,560 passengers (lower berths), and feature the successful design platform introduced by sister ships “Royal Princess” in 2013 and “Regal Princess” which entered service this past May. “We are incredibly excited to add this fabulous new ship to our already formidable fleet,” said Jan Swartz, Princess Cruises President. ““Royal Princess” and “Regal Princess” have been exceptionally successful for us and have received numerous accolades from guests, travel agents and media, so adding another sister ship will allow us to take Princess to the next level. We’re very pleased that this new ship order is an indication of the confidence that our parent Carnival Corporation has in the future of the Princess brand”. Giuseppe Bono, Fincantieri Chief Executive Officer, commented: "All the orders we win are important for our Group, but some are more special than others. The one we're announcing today certainly belongs to this select category. In fact, it's no coincidence that Fincantieri is the universally recognized leader among the builders of cruise ships. It's a source of great pride to be able to immediately build another ship for a prestigious brand like Princess Cruises following the successful deliveries of two jewels like "Royal" and "Regal", which have already become part of maritime history". The parties concerned say they will reveal specific features and amenities for the ship, along with deployment details, in the coming months.